Circa 1871. Just one block from the beach and promenade, this inviting Second Empire with a country Victorian ambiance is an historic landmark. Friendly service and modern, upscale amenities make each stay a most pleasant one. 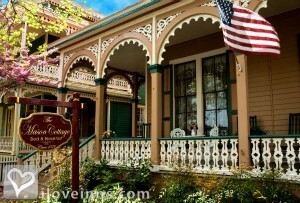 The Mason Cottage in Cape May, New Jersey provides bikes, beach towels and chairs as well as a guest computer, ice machine, refrigerator and microwave. The B&B has Wifi throughout. Watch a movie in the fireside Hughes Sitting Room, use the Wii or browse for a book. A 24-hour coffee bar and afternoon tea and treats adds to the pampering. 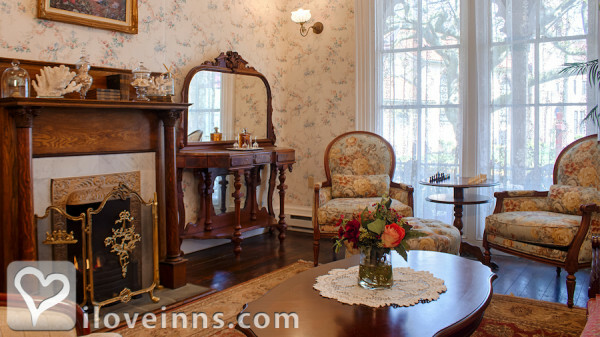 Guest rooms and suites boast antique furnishings, Turkish cotton robes, Tarocco bath products, and many feature fireplaces and Jacuzzi tubs. 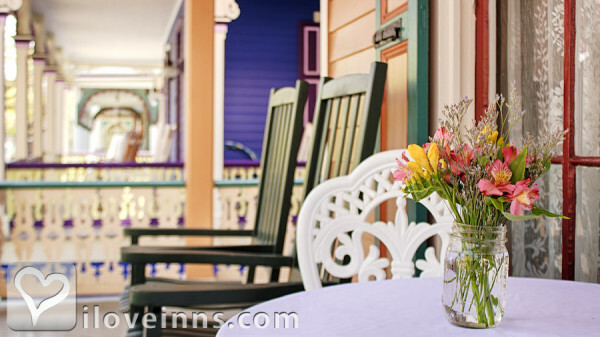 Savor a bountiful gourmet breakfast in the dining room or on the veranda overlooking the gardens.Location: Ocean Community and Seashore town. 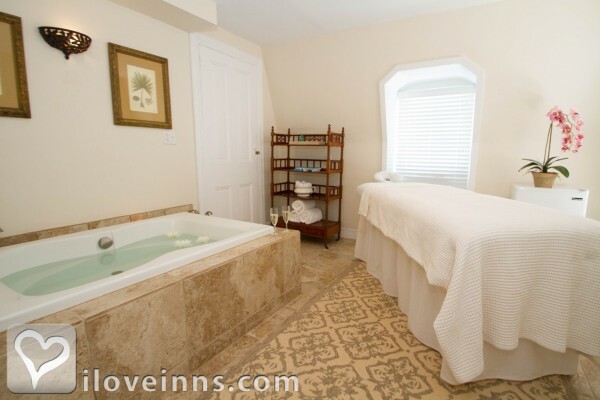 The most romantic suite features a two-person shower, pedestal sink, private spa room with two-person soaking tub and massage table. 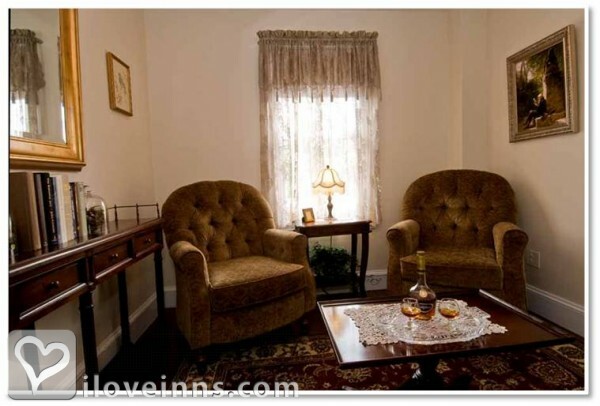 Private sitting room with flat screen TV, refrigerator and I-pod docking station. Ware Rooms get the best ocean breezes in the house. 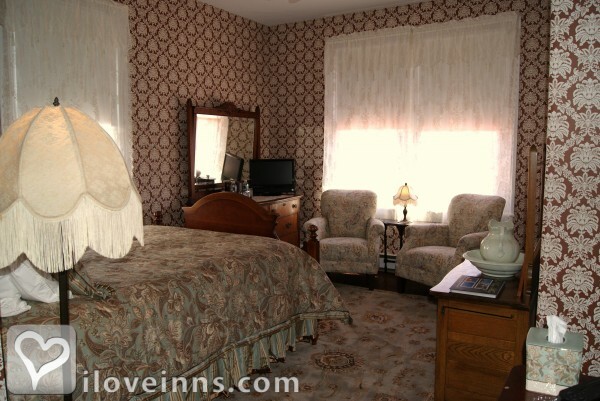 Spacious room has high ceilings and lovely antiques throughout, private bath, flat screen TV and Bluetooth wireless FM radio. 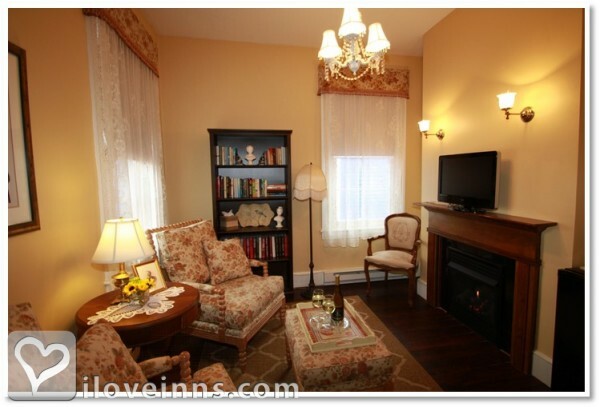 High ceilings and tall windows showcase warm sunshine shining through beautiful lace curtains. Private bath, Bluetooth wireless FM radio and flat screen TV. 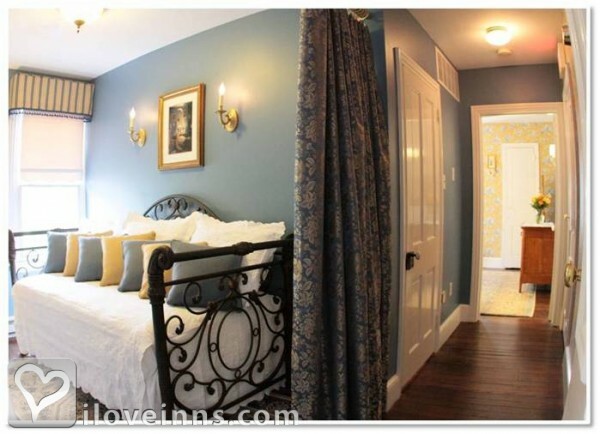 Located on the 3rd floor, bright and cheery corner room. Private bath, flat screen TV andBluetooth wireless FM radio. 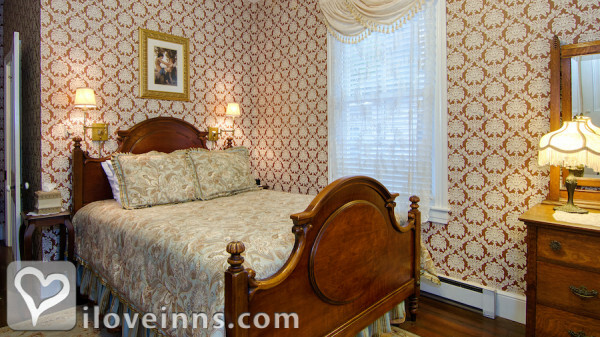 Only room located on the 1st floor with easy access to the parlor and dining room. Private bath, flat screen TV and Bluetooth wireless FM radio. 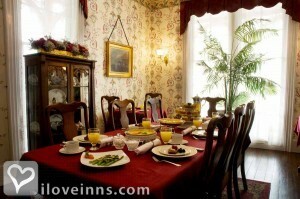 Rooms: This property has 9 total guest accommodations with private bath, 2 with fireplaces, 3 with whirlpools, 4 suites. 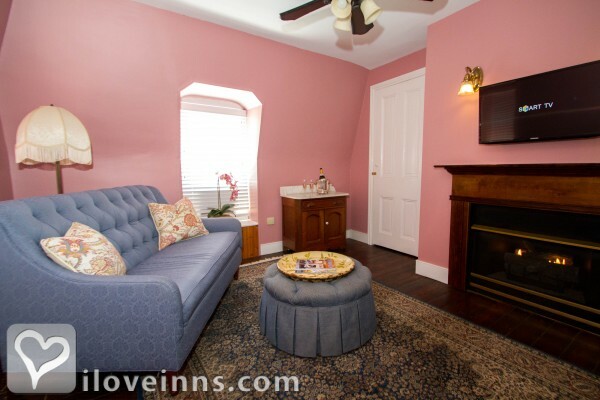 Minimum Stay Requirements: Two night stay requirement during the summer season, special Cape May Festivals/events and weekends throughout the year. Three-night minimum stay on Memorial Day, 4th of July and Labor Day. Cancellation: All cancellations are subject to a $25 cancellation fee. Aside from the $25 fee, there are no other additional charges for room cancellations or package plan cancellations with at least 10 days advance notice. No-shows or cancellations made within 10 days of the arrival date will result in a charge equal to the first nights room charge or in the case of package plans, $150.00 per person. Amenities In Room: Cable TV, Fireplace, Bathrobes, Hair Dryer, Refrigerator, Television, Wireless Internet Access, Bath Amenities, Air Conditioning, I-pod docking station, Flat screen TVs, Three Suites have Jacuzzi tubs, The Grand Mason Spa Suite has a 2-person soaking tub and massage table. Amenities On Site: Computers, Bicycles, Guest ice machine, Wii video gaming system, Iron/Ironing board, Beach chairs, Beach towels, Guest computer with Internet access and Printer. Business Traveler Amenities: Daily Newspapers, Desk, FAX On-site, Gym Nearby, Hair Dryer, Internet Access, Iron/Ironing Board, Off-site Dry Cleaning Services, Television, Wireless Internet Access, Guest computer with Internet and printer. Events Hosted: Romantic Getaways, Honeymoons and Family Reunions. Other Activities: Canoeing/Kayaking, Bicycling, Beaches, Art Galleries, Antiquing, Amusement Park, Fishing, Golf, Hiking, Live Theater, Parks, Shopping (Local Crafts), Water Sports and Wineries. The inn is listed in the New Jersey Historic Register. 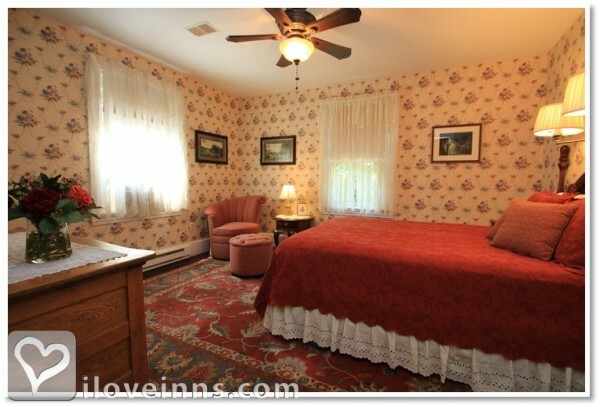 With its unique history and old Victorian charm, the Mason Cottage is perfect anytime of the year for a romantic getaway. For the ultimate romantic getaway, guest can book the Grand Mason Spa Suite, the newest and most romantic suite.